Those interested in Sydney’s colonial past will eventually find themselves heading for Parramatta. Located about 30 kilometres from Sydney’s CBD – and also accessible by the popular Parramatta Ferry – Sydney’s “geographical heart” was originally known by the local Darug people as “Burramatta”: the place where eels lie down. While the ferry is popular, the suburb is well-served with all forms of public transport – it’s a 30 minute train ride from Sydney’s CBD – and a multibillion-dollar transport network is being rolled out that will add more connections throughout the region. Many of Parramatta’s heritage sites stem from the early days of settlement and on weekends the place teems with locals and tourists keen to check out the historical Parramatta Gaol or nearby Elizabeth Farm, the country’s oldest European dwelling. There’s also plenty to keep people out at night with restaurants, bars, and the multi-venue Riverside Theatre located right in the centre. While Parramatta is evolving into a thriving arts and entertainment hub, it is also home to a large number of public and private schools including King’s, James Ruse Agricultural High, and Tara Anglican School for Girls. The University of Western Sydney – one of the country’s fastest growing universities – is also located here. The potential of Parramatta is evidenced by the multimillion-dollar infrastructure and renewal projects including the $11.5 billion WestConnex, Sydney’s second major airport at Badgery’s Creek, and the new footbridge that will run close to a prime waterfront development being built by Starryland, known as Promenade. 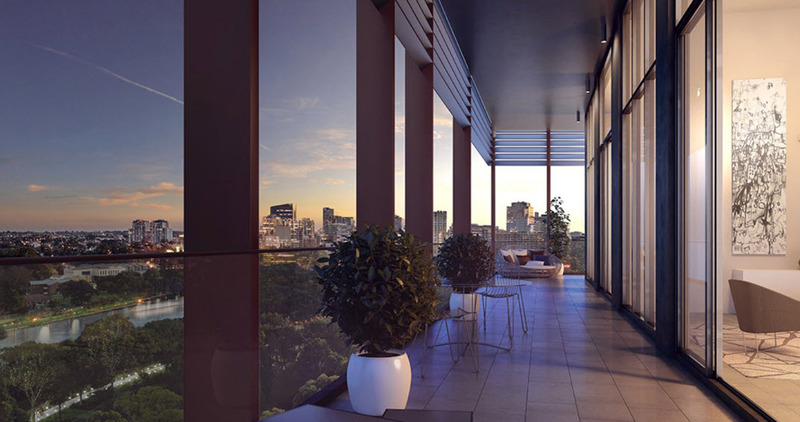 Promenade is located along the Parramatta River at 2 Morton Street and comprises 773 residences across 12 buildings connected with three domestic public spaces. It’s being built in three stages with the final stage expected to be completed in early 2018. CBRE managing director, residential projects, David Milton, says while the river was expected to be the key attraction for buyers, it is the green spaces that are garnering the most attention. “The river is a popular feature and there are great views over it but buyers also love the foreshore and the parkland areas,” Milton says. The final stage will be released in September and comprises 145 apartments on the premium riverfront site. The display suite will open on September 3. Milton adds Parramatta is an area that was always going to come of age eventually and it has finally happened. “It is an area that is affordable to buy into and has the potential for further growth,” he says.